A drama about the secrets hidden behind success, The Wife focuses on the patient woman behind the celebrated man, and finds an intriguing story that goes well beyond moral support. It's 1992, and celebrated author Professor Joe Castleman (Jonathan Pryce) is announced as the Nobel Prize winner for literature. Along with his wife Joan (Glenn Close), Joe is ecstatic, although their brooding son and fledgling writer David (Max Irons) remains grumpy. They travel to Stockholm for the award ceremony and associated galas and press events. Also attending is journalist Nathaniel (Christian Slater), who is constantly rebuffed in his attempts to write Joe's biography. The trip starts to expose cracks in the relationship between Joe and Joan, and in flashback their history is revealed. In 1956 he was an already married young college professor and she was his student and a budding writer. Once they married she supported him despite a series of infidelities. 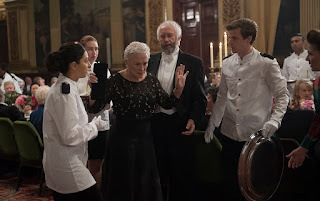 Back in the present, communication between David and Joe all but ruptures, Joe is distracted by young event photographer Linnea (Karin Franz Körlof), and Nathaniel keeps probing, looking for the real story behind the famous writer and his outwardly supportive but tight-lipped wife. Directed by Björn Runge, The Wife is an adaptation of the Meg Wolitzer book, written for the screen by Jane Anderson. The film is a multi-layered dual character study, peeling away the years on a complex relationship to finally reveal its core. 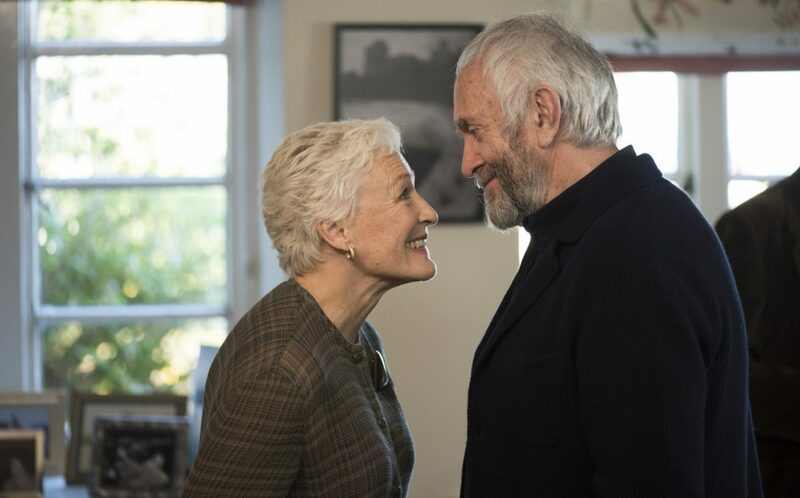 With an exhilarating Glenn Close performance full of controlled nuance, The Wife offers delicious intrusion into the life of a seemingly perfect established couple. Relevant themes abound, and the changing expectations embedded in the dutiful wife's role is the dominant thread running through the film. During her student days Joan meets author Elaine Mozell (Elizabeth McGovern), and her disheartening comments about the prospects of a female author getting any respect or attention carry a heavy influence. Joan grew up accepting her function as the winds beneath his wings, but close to 40 years later her self-esteem demands something different and society expects no less. Also prevalent throughout the narrative is Joe's evolving treatment of Joan, from early entrancement to taking her for granted and airily belittling her role in his success. Throughout, she does nothing except maintain her poise, despite his serial cheating. It's only once the award festivities get into full swing and Joe's hubris registers new levels that she decides to take a stand, prompted in no small measure by Nathaniel's interference. It is one challenge for Joan and Joe to maintain the delicate balance of their relationship as a professor and his wife; quite another for a Nobel Prize winner to maintain composure while caught in the glare of the spotlight. The treatment of the interaction between David and Joe does not work as well. David's sullen mood is inconsistent with joining his parents on a celebratory trip, and for an intelligent couple, both Joe and Joan appear inept at communicating with their son about his writing. Runge and Anderson also short-change the subplot with photographer Linnea, who is treated more as a convenient device than a person. The Wife is a pointed exploration of the power behind the pen, and the inevitable expiry date of every compromise built on duplicity.